The single most asked question I get at investment conferences is, “Do you have a list of money managers who invest guided by the Austrian School of economics?” The question is a good one. After all, the Austrian School stands alone in predicting the fall of the Soviet Union and the housing and financial crash. Anyone with a retirement account has been whipsawed by the stock market over the past few decades. Fidelity’s Peter Lynch told everyone to buy stocks and hold. Everything would work out great. Diligent savers would even end up millionaires, courtesy of an ever-expanding stock market. The efficient-market hypothesis (EMH) provided intellectual support for the idea. The market reflects all information, so there’s no way to beat it, said the economists. Now everyone knows better. Or at least they should. The average person’s 401(k) was turned into a 201(k) in 2000, and was destroyed again in 2008 if they were brave enough to stay or get back in the market. Many people swore off stocks after the last crash only to watch the S&P 500 triple. Now the Fed’s zero interest policy has pulled them back just in time for the next market train wreck. Those educated in the Austrian School understand how the central bank creates the business cycle’s booms and busts. And they know there is a better way than just buying, holding, and hoping. But how does one apply it using Friedrich Hayek’s and Ludwig von Mises’ theories to make money in the market? In a very readable 107 pages, Roger McKinney shows you how to turn theory into profit and financial survival in his book Financial Bull Riding. Now is the perfect time to read McKinney’s book. Stocks are trading at all-time highs. More margin debt is outstanding than ever before. Price/earnings ratios are stretched, with market darlings like Netflix and Amazon trading at P/Es of 196 and 581, respectively. However expensive it may be, if you’ve missed this market move, every day it goes up, you feel the regret and are tempted to jump in. If already fully invested, you’re rationalizing away any concerns. Eugene Fama may have shared the Nobel Prize for his EMH work, but McKinney disposes of the idea using a folksy story from a serially successful investor — Warren Buffett — that strict adherents to EMH would deny the existence of. Buffett has a point. Even in the speculative world of junior resource investing, the legendary Rick Rule is an ardent adherent to the teachings of Ben Graham and David Dodd. McKinney’s book may be about beating the markets, but the author gains his clear perspective not just through the lens of Austrian economics but from operating as a financial adviser far, far away in the flatland of Oklahoma. His perspective isn’t clouded by the canyons of Wall Street. Common sense still makes sense in the plains. Bull Riding is Rothbardian in its scope of history used to support the book’s premise. Richard Cantillon is not a household name, but McKinney provides a brief, enlightening history of the man who made a fortune in the crash of John Law’s Mississippi Bubble in 1720 France. And how many books on investing mention the University of Salamanca as the beginning of the marginal revolution? “Had [Adam] Smith been more familiar with the writings of the Salamanca scholars, he would not have made that mistake.” “That mistake” being the labor theory of value. Readers shouldn’t worry about the author getting too bogged down in theory or history. He condenses these matters, as well as the Keynesian takeover. He then quickly gets into explaining the Austrian business cycle theory as the bedrock for investment timing. Hayek’s and Mises’ insight was that monetary intervention by a central bank forces interest rates below their natural rate. This fools entrepreneurs into believing savings have increased and demand has shifted from consumer goods to higher-order (investment) goods. Of course, savings haven’t increased, and this misdirected capital becomes what Austrians call malinvestments, to be liquidated in the downturn. Investors have different temperaments and risk tolerances. Very few are all-around cowboys. McKinney lays out three strategies for this investment rodeo depending upon what kind of cowboy you are. You may be a calf roper, with plenty of skill and, most importantly, plenty of patience. But calf ropers don’t make as much as other cowboys. Steer wrestlers make more, but timing is more critical, while less patience is required. The big money in any rodeo is made by bull riders, who risk life and limb for an eight-second thrill ride. 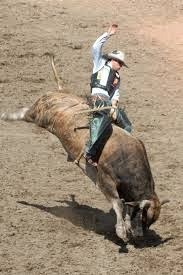 The investment bull rider will try to ride all market fluctuations using margin, options, and futures. Bumps and bruises should be expected, but the rewards can be enormous for a successful ride. Especially if you use Austrian business cycle as a big-picture guide, with technical analysis to navigate the market’s daily bucking. The best freedom is financial freedom. Rather than hand your hard-earned savings to a broker or money manager whose primary interest is to generate commissions or increase money under management, take control of your own nest egg.